A Horizon Air plane crashed on Washington's Ketron Island following an unauthorized takeoff from Seattle-Tacoma International Airport Friday night. 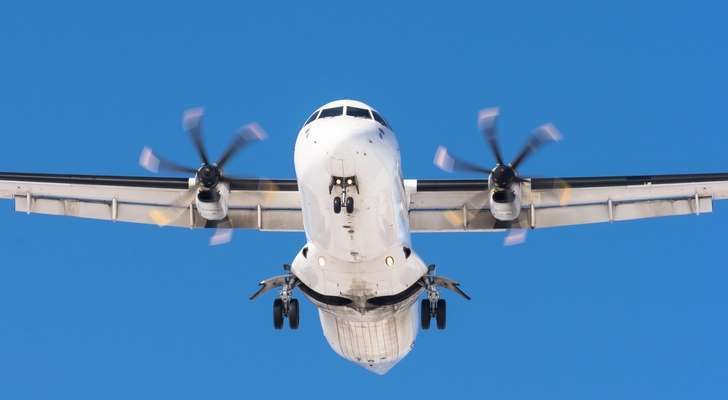 KOMO News reported the incident began around 8 p.m. local time when a 29-year-old Horizon Air employee described by the Pierce County Sheriff's office as "suicidal" took off in a Bombardier Q400 without permission and began performing stunts over the Puget Sound. The plane wasn't carrying any passengers and no one on the ground was injured. [post_ads]Sea-Tac Airport was shut down during the incident, prompting dozen of flight delays, some of which lasted for several hours. Air traffic controllers communicated with the rogue pilot during the hour-long flight, guiding him away from other aircraft and encouraging him to land at nearby Joint Base Lewis-McChord. "Oh man, those guys will rough me up if I tried landing there," the man said. "I think I might mess something up there, too. I wouldn't want to do that. They probably got anti-aircraft!" A pair of fighter jets were quickly scrambled to the plane to guide it away from Seattle and Tacoma. "This is probably jail time for life, huh? I would hope it is for a guy like me," the man told ATC. "We are still gathering facts, but at this point, we understand there was only one person aboard, an employee of Horizon Air, who was operating the aircraft. I want to share how incredibly sad all of us at Alaska are about this incident," said Brad Tilden, CEO of Alaska Air Group, which is Horizon Air's parent company, "Our heart is heavy for the family and friends of the person involved." "We’re working to find out everything we possibly can about what happened, working with the Federal Aviation Administration, the Federal Bureau of Investigation and the National Transportation Safety Board." Authorities said it was not a terrorist incident but still working to find out more information. "The FBI is communicating with local, state, and federal partners but it is too early for us to put out details on the rapidly evolving situation," the FBI said in a statement. "We frequently get involved with matters related to aircraft so we are poised to act if information develops to suggest a federal criminal nexus."